People achieve public personality status via various means. Some do through music, some through acting, some through politics, and some do through happenstance. As for Gary Vaynerchuk, he has achieved the position of a public personality through entrepreneurship and his work as a motivational speaker and author. Through his industrious efforts, Gary Vaynerchuk has become the face of a $100 million-dollar company focused on digital media. His work has seen him become one of the leading digital strategists in the world having worked with major global brands like General Electric and PepsiCo. When it comes to the life of Gary Vaynerchuk, there is plenty to learn as he is an interesting subject and also as a mentor. Let’s explore some of these in a quick look at the life of the former wine reviewer below. Read on. They say anyone can come to the United States and make it. It is a story that has been told over and over again. Whilst that might not be true for everyone, it has certainly been true for the Vaynerchuk family who relocated from the now-dissolved Soviet Union to the United States when Gary Vaynerchuk was a child. He was born on the 14th of November 1975 to parents Sasha Vaynerchuk and Tamara Vaynerchuk. He was one of the three children born to his parents. He has a brother named AJ and a sister named Liz. He was raised until teenage years in Queens where his entire family lived in a studio-apartment before the family relocated to New Jersey where Gary completed his high school education at North Hunterdon High School. After high school graduation, Gary Vaynerchuk headed to Mount Ida College in Massachusetts where he graduated from with a bachelor’s degree and joined the family business thereafter. His family owned a liquor store in Springfield, New Jersey which was named Shopper’s Discount Liquors. After assuming control of the business, Gary Vaynerchuk changed the name of the business to Wine Library, kickstarting a transformative process that would make him into a multi-millionaire. Along with the name change came an accompanying YouTube channel named Wine Library TV where he reviewed wines. He also launched an online sales store for the shop, taking advantage of the growing e-commerce industry. The changes and additions to the business helped grow it from a $3 million business to a $60 million business within just five years of assuming control. After working as the head of the business for 13 years, Gary Vaynerchuk relinquished control and set out to build one of his biggest entrepreneurial endeavors – VaynerMedia. Along with his brother, AJ, Gary Vaynerchuk founded a social media focused digital agency named VaynerMedia and in a short period, quickly became one of the leading companies for social media and strategy services. Since its creation, the company has grown to over 600 employees with over $100 million in annual revenue. Over time, Gary Vaynerchuk has gotten involved with several projects including The Gallery which was established in 2017. Furthermore, he has leveraged his success to become a published author and a public speaker. Over the course of two decades, Gary Vaynerchuk has been able to build a net worth of over $160 million. His net worth, which comes from his entrepreneurial efforts via Wine Library and VaynerMedia, also include investments in other projects like Uber, Twitter, and Venmo that have in turn yielded good returns. He is also a published author who has written over six books out of which four have earned the coveted badge as New York Times bestsellers. 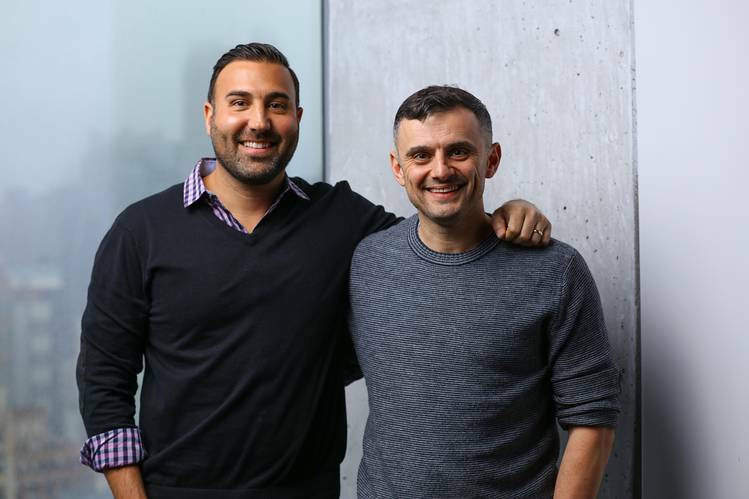 He is also the owner of a successful podcast, The Gary Vaynerchuk Audio Experience alongside one of his notable ventures, AskGaryVee. The measure of a beautiful life for many people resides in success in their chosen profession and in their marital life. In both regards, Gary Vaynerchuk is a successful man. He has been married to his wife, Lizzie Vaynerchuk since 2004, just a few short years after he graduated college. Together, the couple has built a beautiful life that has resulted in two lovely children – son Xander Avi who was born in 2012 and daughter, Misha Eva Vaynerchuk who was born in 2009. The couple has remained together for over a decade with no scandal to speak of. He and his family currently reside in New York. One thing is for sure, the intimidation of the success of Gary Vaynerchuk does not reside in his physical body. He has an average body height of 5 feet 7 inches with an accompanying weight of 67kg. While he most certainly exercises in order to stay fit, he still possesses what can be described as a ‘dad-bod’. He has other noticeable features like dark hair and brown eyes.